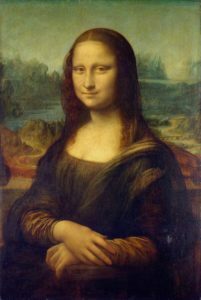 “The days of Leonardo da Vinci are over”, wrote social scientist Etienne Wenger, adding that “today’s complex problem-solving requires multiple perspectives”. Even though the original quote refers to human interaction and team working, it can be easily applied to every ecosystem where communication and synergy are not only possible, but preferable. This is obviously the case with hotel tech, especially in today’s particular landscape, where problems are, in fact, “increasingly complex” and “multiple perspectives” are needed in order to solve them. And one of the problems hanging over hoteliers’ heads like the proverbial sword of Damocles is, unsuprisingly, the tech infrastructure one. If you have been in the industry long enough, you may remember when the infrastructure specifications required to keep all the hotel’s technology interconnected were minimal. Software used to be way more insular than today and third-party connectivity was not at the top of vendors’ priorities, who were more focused on developing new features from scratch to have a competitive advantage. Software (and, to some extent, hardware) worked individually and they rarely contributed to the success of the hotel as a whole. Over the years, anyhow, it became clearer that the strength of any hotel software is directly proportional to the number of third-parties it can flawlessly connect to. The current average tech vendor approach, therefore, became increasingly decentralized, with more and more features outsourced to third-party systems, rather than developed internally. The PMS industry is a perfect example of this new trend: instead of developing advanced features (such as, let’s say, reputation management systems, RMS or CRM) internally, more and more vendors started focusing on what they do best, leaving the rest to external third-party software, to whom they connect via direct integration or API-connector companies. But here’s the catch: because, even though this is currently a pretty standard practice, over the last decade new systems started to be created at an alarming speed, generating a wide gap between the real needs of hoteliers, established technologies and overhyped Next Big-Things. Our industry is experiencing, a real “silicon obsession”, and it is important to stay grounded and remember that all that glitters is not gold, especially in tech, where adjective such as disruptive are overused and the risk of a bubble is always lurking on the corner. In travel, you certainly don’t want to be a laggard, but it turns out that you don’t want to be an early adopter either. This does not mean that you should not innovate or be over-conservative, but choosing the wrong tech provider or blindly running towards anything glimmering could be risky, as you could be left with a piece of unusable technology just one year from now. According to several studies, the average lifespan of a software is around 6 to 8 years, with increased longevity for larger programs, so picking your infrastructure should be a decision not to take too lightly. According to Statistic Brain, 1 out of 2 startups go out of business within five years from its creation, and travel startups are no exception. Do some research on your providers before choosing them. WHAT CAN HOTELTIME SOLUTIONS DO FOR YOU? At HotelTime, we know very well that “more connections” usually equals “better system”, but we want to make sure to integrate highly reliable, selected trusted partners only. We strongly believe that hoteliers should have full control over their hotel tech stack, but we are also concerned about the security of your data. Our open platform (and our business model) makes it very easy and quick for us to connect with the right partner for you, so you can get the integration you need, with partners that match our security and quality standards. Have more questions? Get in touch with a HotelTime Solution specialist today here. © Copyright - 2018 HOTELTIME SOLUTIONS a.s.